"Malaysia - Truly Asia" is the slogan coined by this country and truly it is a good mix of all asian races abd population. This happened to be be my destination of honeymoon. So it has to be an important trip. I was off to Kualalampur and Penang Island on a 5 days trip. 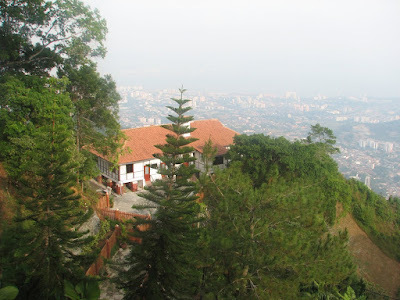 Petronas tower had us captivated whereas penang hill itched an everlasting image in our memory. We reached there in morning and when we checked into the hotel the first thing that we noticed was that the famous petronas tower was visible to us from our hotel room and that had us excited and my wife was charmed. First thing that i start searching at any place is possibility of having indian meal in vicinity and thankfully there was a restaurant in our vicinity. Taste bud sated, our destination changed to Genting Highland - a nice amusement park. Back from genting highland, we were tired but could not stop ourselves from the charms of the tower in milky white color and never did we realize that by the time we were done with roaming around the seducing tower, it was quite late and monorail/metro were shut down for the day, forcing us to walk all the way to our hotel. What I liked about Malaysia is the way people of different faiths lived together. We visited Hindu temple and Buddhist temple and saw the grand mosque and at least on surface all faith followers seem to be living in peace with each others. The museum of malaysia gave us a glimpse of local culture. There seemed to be lot of similarity with Indian culture. For example, in traditional marriage of Malaysia, they use odd numbers even for number of stairs the bride and groom have to climb to reach the "Mandap". the well wishers throw yellow(uncooked) rice on the newly weds, as we do in india. Being a newly married guy, this really caught my attention soon. 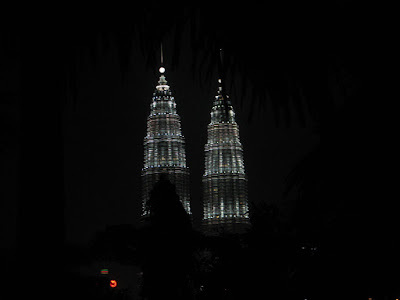 What I repent about my Malaysia trip is not planning for a climb in petronas tower. We had to satosfy ourselves with only looking at the bridge between the two towers whereas it would have been fun to walk on that.